Rights for MUDDLE & MO picture book have been sold to Clarion in the US, for publication in Spring 2017. Muddle is a slightly confused yet enthusiastic little duckling who always has lots and lots of questions. Mo is a long-suffering, not very adventurous white goat who has lots of patience. They are best friends, but Muddle is rather confused about what type of animals they both are. Fortunately, during the course of their walk together Mo helps Muddle get his duck identity sorted out. Nikki Slade Robinson has been an illustrator and author for many years. In between working on her stories, she actually raised a duck and a goat, who both thought they were human and part of the family. 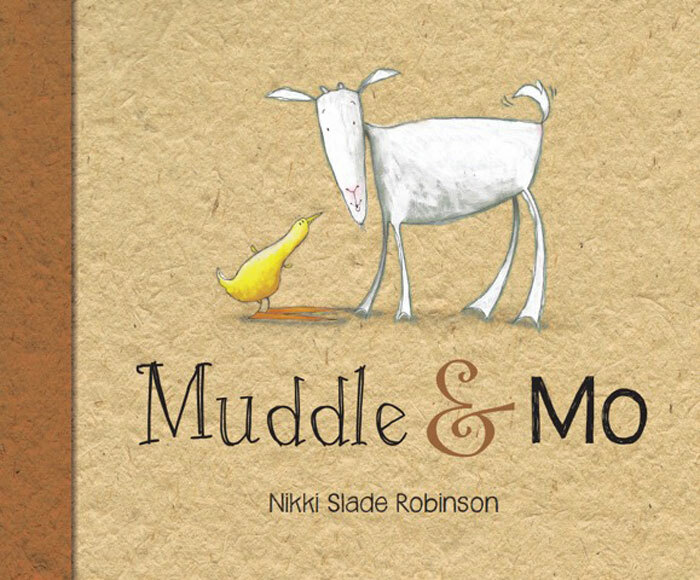 In searching for worms for her duck, or the juiciest dandelions for her goat, Nikki got inspiration for this beautiful story of friendship. The deal was negotiated by Aoife Lennon Ritchie of the Lennon-Ritchie Agency on behalf of Duck Creek Press, New Zealand.